Another awesome Indie polish today! I've got four gorgeous little goodies today, all of which can be found on Etsy at LynBDesign's Etsy store! First up is Little Foot from the Land Before Time collection, a purple grey creme-jelly base with white hexes and silver glitters. 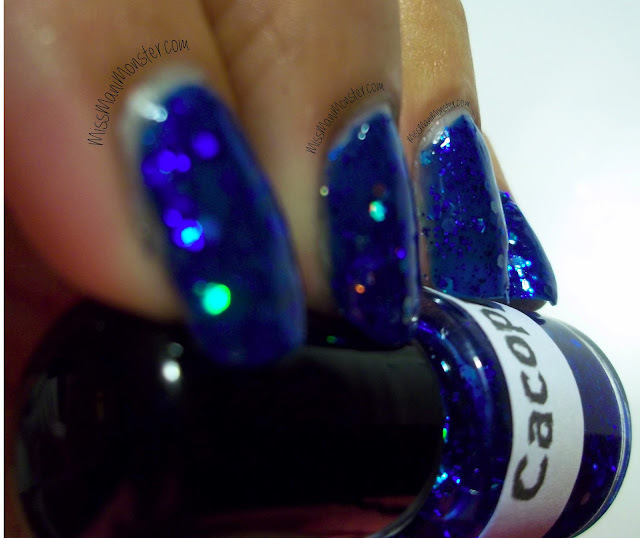 Next is Cacophony, a bright royal blue jelly with holographic hex glitters. This one was so gorgeous and so bright. It was perfect after 3 coats. 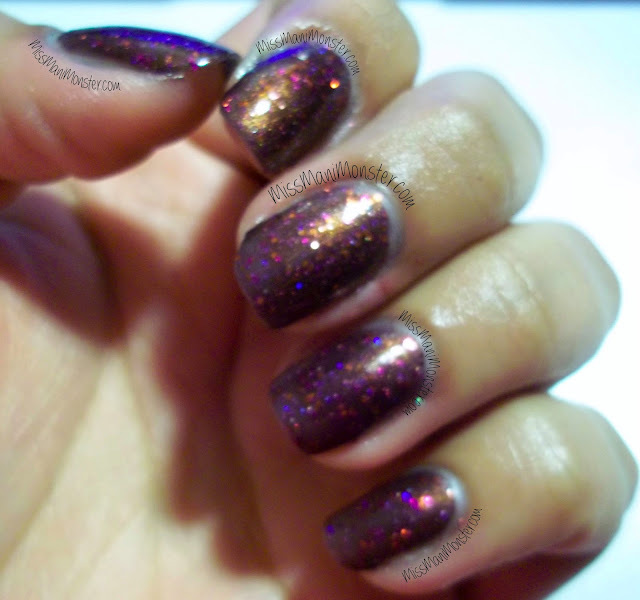 Up next is a gorgeous orange shimmer named Take a Chance from the Top Hats and Scottie Dogs collection. This color actually shifts in the light, but it was hard to capture on photograph. It's really stunning, and the story behind its inspiration is so much fun! Finally we have This is Halloween, from the Nightmare Begins collection. A close tie for my favorite, this one is a deep purple copper duochrome with purple and orange glitters. Beautiful after 3 coats. I literally didn't want to take this one off! Please check out LynBDesigns on Etsy. She has pages and pages of beautiful polishes, and each has a really fun, warm story behind its inspiration. If you act fast, you can get 40% off your entire order by using the code RANDOM2 at checkout until May 8th!